In the fall of 1962, James Meredith walked onto the University of Mississippi campus and integrated the school under order and protection of the federal government. That same fall, the Ole Miss football team was in the midst of its only perfect season in school history. Fifty years later and based on Wright Thompson's examination of those events, "Ghosts of Ole Miss" explores the intersection of one of the most significant moments in the Civil Rights movement with a team of young men caught in the middle of history. I had been to Oxford, Miss. 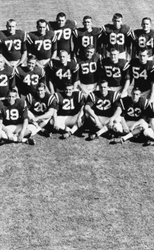 a few times in the 90's to work on football stories; even knew about James Meredith integrating Ole Miss back in 1962. I'd seen the chips in the lyceum columns from the night of the riots, but as I read Wright Thompson's story, The Ghosts of Mississippi, I was shocked to find that there was a connection between football and civil rights. Thompson described a Mississippi with deep psychological wounds from the civil war and a football team that made the university proud during this shameful period. Why didn't I know this story? How come others hadn't written about it? Most importantly, I was alive, albeit a little boy, when this happened. It was hard for me to believe that an isolated society like this even existed and that football was an integral part of it. When I walk around the grove at Ole Miss, I am captivated by the beauty of the campus but always mindful of William Faulkner's quote, "The past is never dead, it's not even past." Fritz Mitchell started his television career as a researcher for CBS Sports in 1982. Promotions led to work in the capacity of Associate Producer, Associate Director, and Feature Producer on live sports events including, but not limited to, the NFL, Super Bowl, College Football, NCAA Men's Basketball Tournament, Daytona 500, The Masters, U.S. Open Tennis, and Olympics for both CBS Sports and NBC Sports. His final position with CBS Sports was as a Coordinating Feature Producer for the NCAA Final Four. 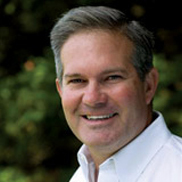 Since 1998, Fritz produced long format documentaries for ESPN and PBS. He lives in Vermont with his wife and two children.